The property market is one of the most unpredictable in the UK, it has its ups and downs, but overall, if you have the right qualifications, then you should have no trouble finding a job.The wider you carry out your search and the more jobs you are willing to do, will improve your chances of finding a job. The residential property sector is a lot different to the commercial side of things. Unlike the commercial sector, you can start a career in an estate agents or property manager’s office, with very few qualifications and little training. 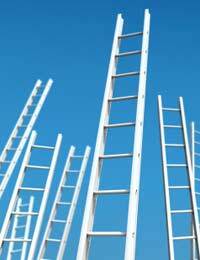 You will have to start at the bottom and could find yourself manning phones, but it is possible to work your way up. Estate agents will normally have a lot of jobs on the sales side of things and will always want people to try and sell properties, as part of your career development you will normally start out in this way. The only time you might experience trouble finding a job in the residential sector is when there is a housing slump, which once in place, could last up to 18 months. It is often a game of swings and roundabouts when it comes to selling properties, one minute you could be earning thousands of pounds in commission, and the next you could find your self earning very little. Although the commercial sector is known for being very entrepreneurial, it is becoming increasingly difficult to get a job in the sector unless you do not have the right qualifications. It is not enough to simply have a degree, even if this is property related. If you want to get a job at one of the larger property firms, and work as a charted surveyor, then you will need to have a RICs accredited course, and if you want to progress further as part of your career development, you will have to embark on further training. A good degree mixed with good work experience will be what lands you a job working in the commercial property sector. It still likes to employ high achievers, so the better your degree or the more qualifications you have the better. There is always a healthy number of jobs in the commercial property sector, however like the residential market, it too can be a victim of a drop in the housing market. While property prices are up and the market is in good condition, you will have no problems finding work, however, once people stop buying houses, then new developments will stop and nobody will want to sell their existing assets, so you could find you might struggle to find work. Although the property market can be unpredictable, it is also one of the most reliable assets in the UK, and you just have to look around to realise that property and new developments are everywhere. The property industry is never going to go out of business, and although it may suffer a few hiccups, for the right qualified people, it will always be able to offer a wide range of job opportunities to meet your chosen career path.